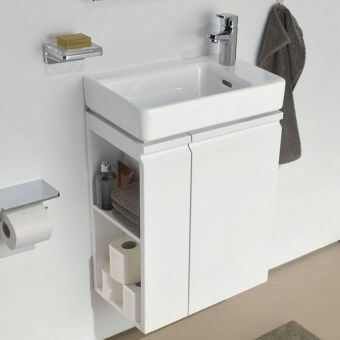 Carefully balanced to give the maximum possible benefits to the user with the space provided, Laufen furniture has poise and charm. 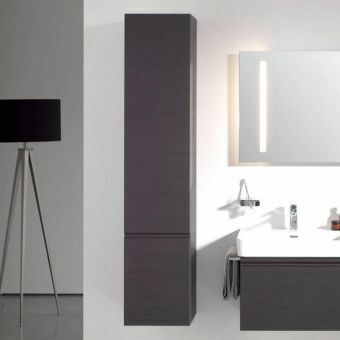 Vanity units are the en vogue item of today, and with their collections of items available in stylish Black, White or Wenge finishes. 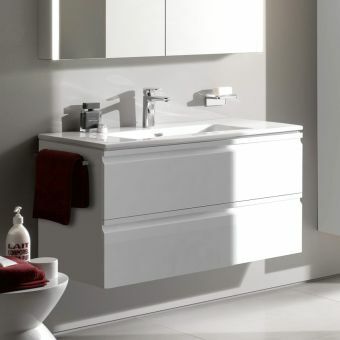 Adding a touch of 1920s chic is the Laufen Pro A Chrome Basin Stand, perfectly matched to the Pro A series of 85 and 105cm basins. 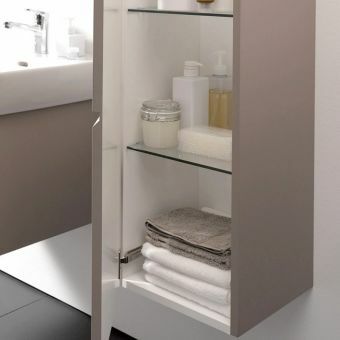 Acting as an alternative to the wall unit or standard pedestal, these chrome frames open up the wash space for a lighter interior. 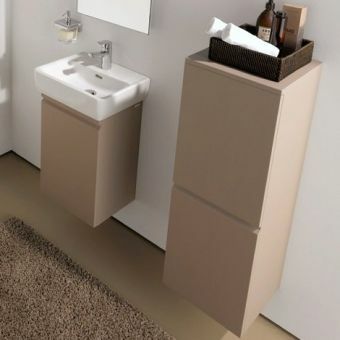 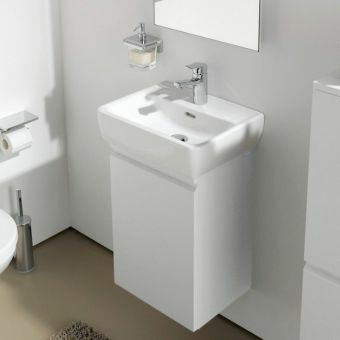 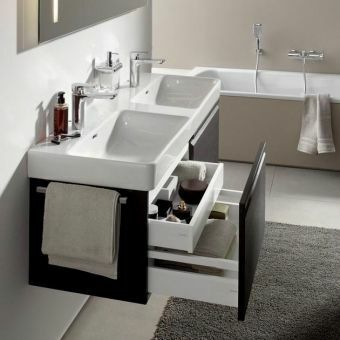 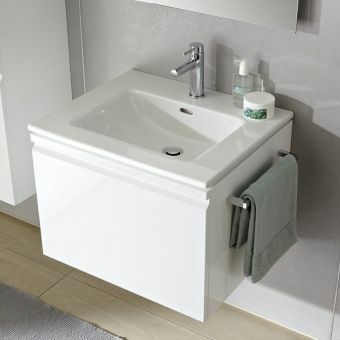 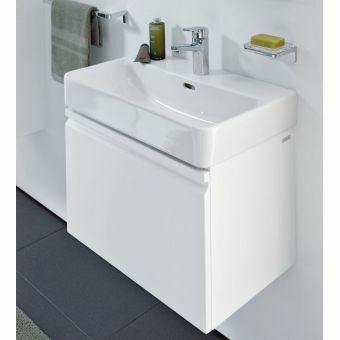 Specially designed for the smaller space is the Laufen Pro Asymmetrical Vanity Unit. 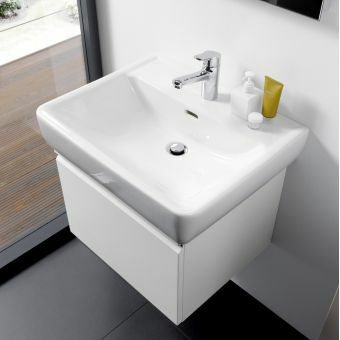 Carefully considering the aspect of the interior with more modest proportions, its reduced projection and side mounted tap hole allow for the best possible use of space while remaining fully accessible as a useful storage option. 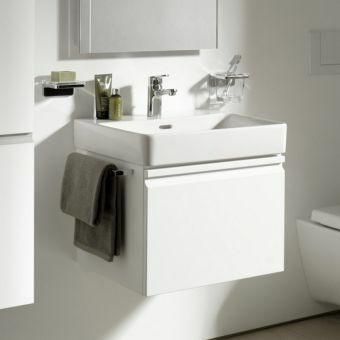 Each piece is crafted to the highest quality and backed by a Laufen guarantee as testament to their longevity.